The US solar industry is gaining some serious ground, according to a new industry report charting a recent spike in solar installations. While big bankruptcies — such as government-backed Solyndra‘s — have grabbed the headlines, the solar industry enjoyed a record-breaking year last year. The new report from the Solar Energy Industries Association and GTM Research noted that the number of photovoltaic installations more than doubled from 2010 to 2011. New solar panels that were installed in the US in 2011 produced 1,855 megawatts, up from 887 megawatts in 2010 — a 109 percent increase nationwide. That brings the nation’s total solar output to more than 4,400 megawatts, or the equivalent of roughly four nuclear power plants. California led all states with 542 megawatts, which accounts for 29 percent of all installations in the country, with New Jersey, Arizona, New Mexico, and Colorado rounding out the top five. The banner year was partly fueled by a sharp reduction in the price of solar panels, which dropped by more than 50 percent last year. But will the industry be able to sustain the momentum in 2012? 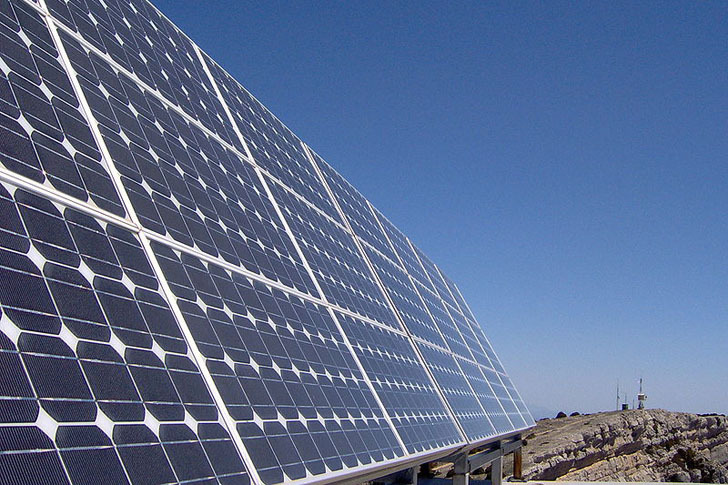 Despite recent gains, the solar industry still faces challenges. Last week, the Senate failed to renew a clean energy grant program that has awarded nearly $2 billion to solar developers since it was started. But the biggest challenge to the US solar industry is a looming trade fight with China, as US companies accuse Chinese solar panel makers of receiving unfair government subsidies and selling solar components in the U.S. at artificially low prices. The FIRST seller that actually provides a PICTURE of the connecting wires will sell more at ANY price. Vendors of these products are exactly like automakers: They simply DO NOT LISTEN to their public. They give us what THEY think we'll buy, not what we have asked for! The US solar industry is gaining some serious ground, according to a new industry report charting a recent spike in solar installations. While big bankruptcies -- such as government-backed Solyndra's -- have grabbed the headlines, the solar industry enjoyed a record-breaking year last year. 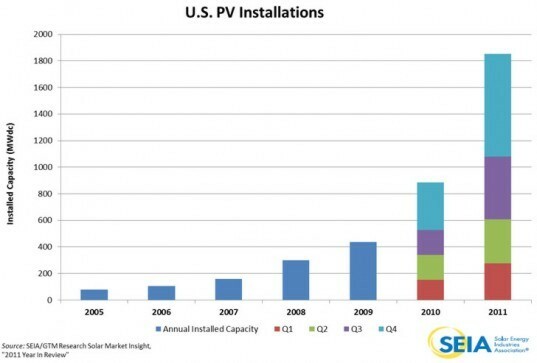 The new report from the Solar Energy Industries Association and GTM Research noted that the number of photovoltaic installations more than doubled from 2010 to 2011.